Home » cookies » FITNESS » RAW FOOD » RAW CHOCOLATE CHIP COOKIES...YUMMY!! Ok, If you have been following this blog you know that I have mentioned before how my husband has an addiction to pink lemonade. Well his other food addiction is chocolate chip cookies... he is the original cookie monster lol! So I couldn't wait to make these to calm the cookie beast during our week of raw. 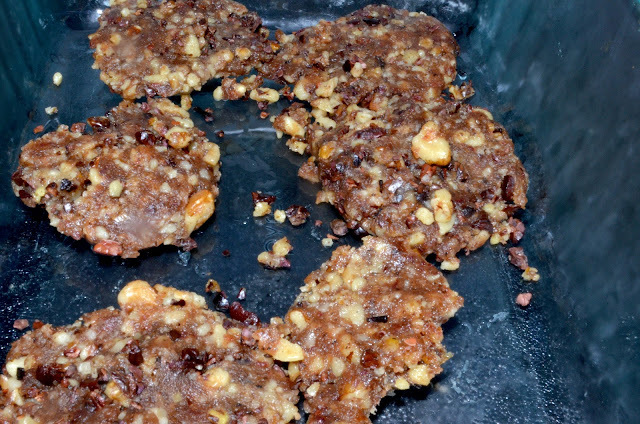 These cookies came out far better than I could have imagined plus it was easy to make. Blend walnuts and dates until a coarse mix is formed. 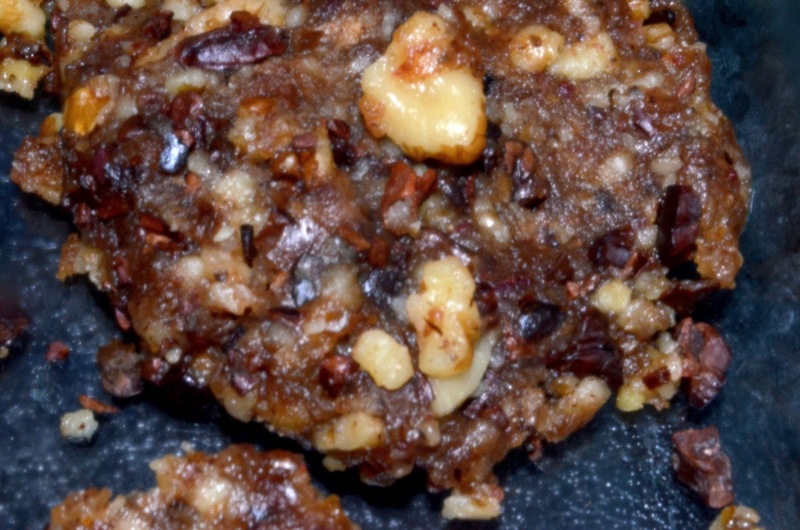 The medjool dates act like an egg to hold everything together, as well as add sweetness to the cookies. Add the rest of the ingredients except the cocoa nibs to the mix then blend again. Put the mix into a bowl, then add the cocoa nibs to the mix. Lastly, form mini cookie patties to your desired size. 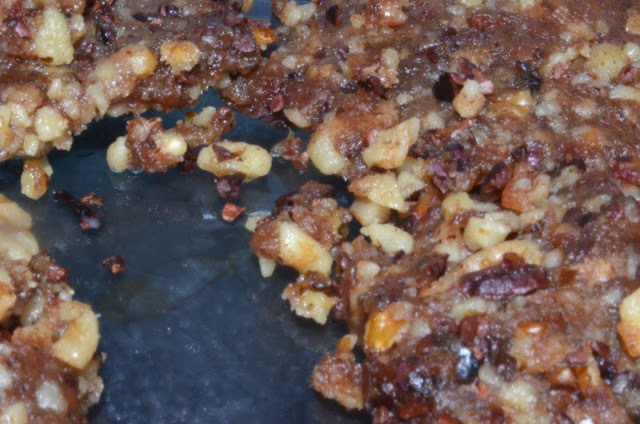 Trust me, this recipe is so delicious...definitely one of the best raw desserts that I have ever made! Real Cocoa Nibs Are So Chocolatey! Dehydrate for a few hours for a warm treat! This actually sounds really tasty! Thanks for sharing! These look and sound really good. I loooove dates. Never thought to mix them with a little chocolate though. Since we have some on hand I will be giving these a try.